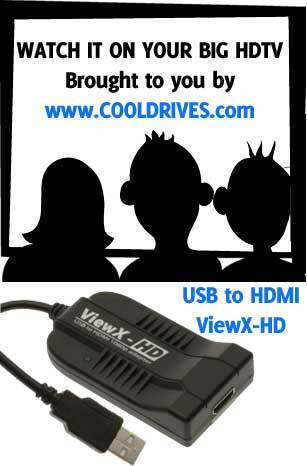 Application: ViewX-HD – USB to HDMI adapter allows you connect an extra HDTV/monitor to your desktop or notebook computer via USB port (include Video and Audio). Support max resolution up to1920x1080 regardless your computer display card resolution. The connected TV/monitor can be configured to either primary screen, mirror or extend the Windows desktop which include the visibility of more applications at the same time. ViewX-HD is the best choice for your HD-display application. HDMI 1.2 compliant. – Video : Supports pixel rates up to 165MHz, resolution up to 1080p. – Audio : Supports 2 channels (Stereo) audio. Connectors: – USB type A male (build in USB cable) – HDMI type A.